Lincoln, Neb. 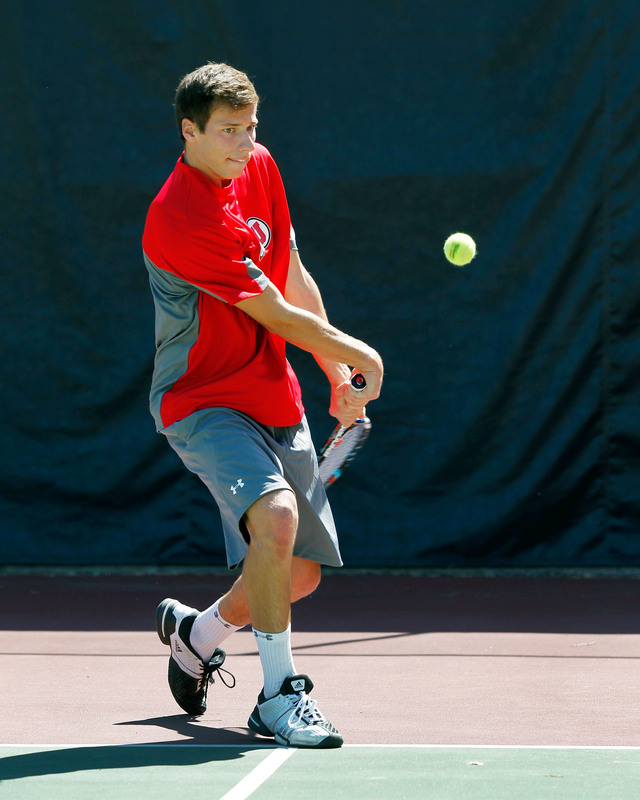 – The University of Utah men’s tennis team (10-2) defeated 44th ranked Nebraska (7-5) late Friday night, 4-3 in Lincoln, Nebraska. The Utes are back in action today, facing 43rd ranked Drake (7-4) in Lincoln, Neb. at 5 p.m. CT. The Utes went up early, winning the doubles point after wins by the tandems of Slim Hamza/Cedric Willems and Devin Lane/Ben Tasevac. Nebraska tied the score at the No. 3 singles position when Alejandro Medinilla fell to Tom Blackwell 6-4, 6-2. Devin Lane then toppled the Huskers’ Vasileios Stavropoulos 6-4, 6-3 at No. 5 singles. Soon after, Cedric Willems was edged by Andrew Dzulynsky 6-3, 6-2. Nebraska took the lead when Dusty Boyer defeated Slim Hamza at No. 1, 7-6 (7), 6-2. Matt Cowley then tied the match at 3-3, after squeezing past Charlie Shin 6-4, 7-5, setting up Ben Tasevac to clinch the match for the Utes in a thriller for the second consecutive match. He defeated Marc Herrmann 4-6, 7-5, 6-3. It marks the third time this season that Tasevac clinched the match for the Utes, after he already did so against New Mexico and BYU. This entry was posted in Schedule/Results and tagged Alejandro Medinilla, Ben Tasevac, Cedric Willems, Devin Lane, Drake, Matt Cowley, Nebraska, Slim Hamza, Utah Tennis, Utah Utes. Bookmark the permalink.